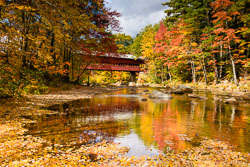 Join Mike Blanchette and Ben Williamson on an exploration of New England at the peak of fall foliage. 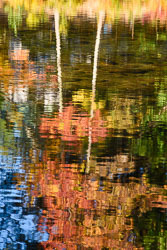 Our workshop will cover some of the most beautiful fall foliage landscapes New England has to offer. 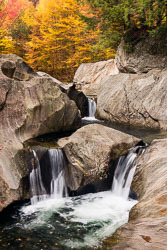 We will visit and photograph small village scenes, picturesque churches, barns, covered bridges, lakes, ponds, scenic overlooks and much more. 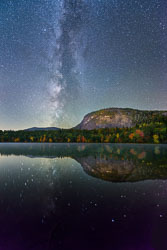 In addition to the familiar “golden hour” shooting times (the hours around sunrise and sunset), we will also immerse ourselves in star photography on clear nights. 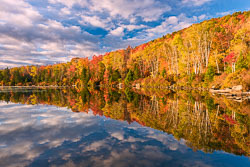 The date of this workshop was chosen to coincide with peak foliage. 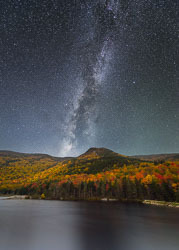 Although it will not be possible to capture the Milky Way over the course of the week since the moon will be up at night, we still plan to go out on clear evenings to photograph the stars under moonlight and capture star trails. 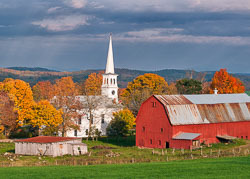 For the first four nights of the workshop, we'll be staying at a modest yet comfortable motel in Marshfield, Vermont. 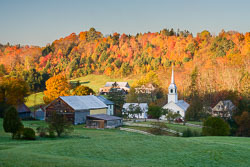 This quiet pastoral setting is within a one-hour drive of Vermont’s most beautiful foliage locations. This will serve as our home base for the first part of the workshop. We reserve a block of rooms for your convenience. All rooms are single-occupancy unless you request otherwise. 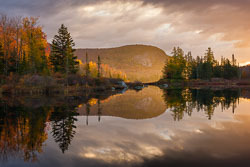 For the last two nights, we'll be based in beautiful North Conway, New Hampshire. 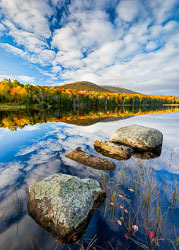 This is the hub of the White Mountains of New Hampshire, with lots of hotels and restaurants. Here again, we will generally travel within a one-hour radius of our home base, and book single-occupancy rooms on your behalf. The motels are selected mainly for their proximity to our sunrise and sunset locations. They offer clean and affordable lodging, but they tend to be modest and certainly not fancy. Neither motel includes a restaurant but both offer free WIFI. The per-night rate for a room at the Vermont motel runs around $115 plus tax. 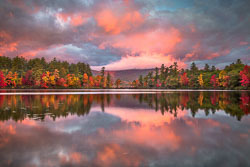 Due to the popularity of the White Mountains in autumn, the New Hampshire is more expensive, averaging $154 per night. IMPORTANT: Neither of these motels require an advance deposit, so there's no need for you to call before check-in unless you wish to extend your stay beyond the workshop dates. 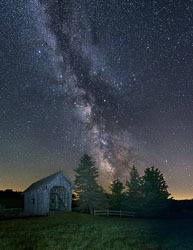 You can take either US highway I-89 or I-93 to reach Marshfield. Both are scenic highways, although I-89N from Concord (NH) is probably slightly faster if coming from southern points. The Marshfield Inn & Motel is located on Route 2 between the towns of Plainfield and Marshfield, Vermont (GPS coordinates: 44°18'26.02" N 72°23'58.58" W ). 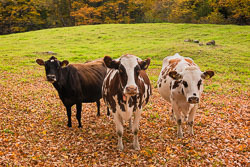 Our gathering place on October 6 will be in the “office” of the Marshfield Inn & Motel at 4pm. We'll spend an hour on brief introductions and set expectations for the week. Then, we’ll go for a casual dinner at a restaurant in nearby Plainfield. 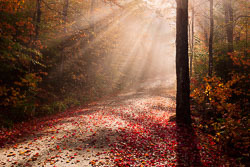 Our photographic journey begins with a sunrise shoot the next morning. 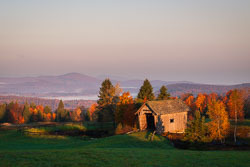 We’ll be working our way through parts of Vermont and New Hampshire over the course of the week, concluding the workshop after sunrise and breakfast on the morning of October 12.